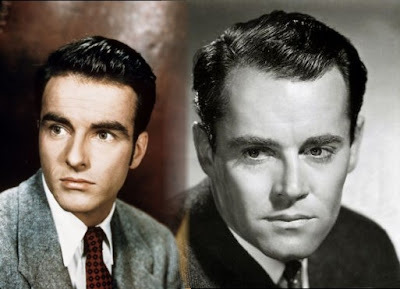 Resemblances are everywhere, especially between old movie stars, in my opinion. 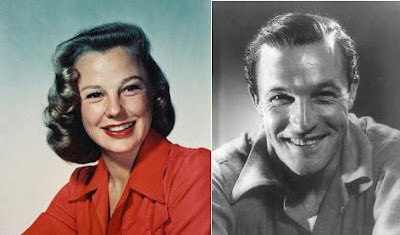 Because most people disagree with me, I probably don't have a good eye, but I still hope to find someone who believes Jimmy Stewart looks like Ingrid Bergman. Here are some more realistic lookalikes. 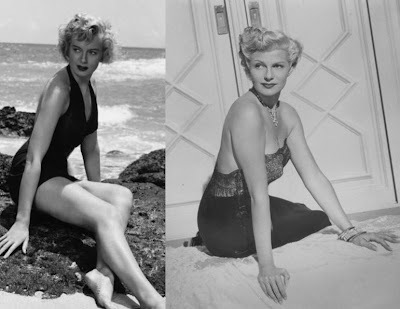 Others, not pictured, maybe coming someday: Gene Tierney and Lauren Bacall, Tony Curtis and Joan Bennett, Vivien Leigh and Hedy Lamarr, Hedy Lamarr and Joan Bennett, Jayne Mansfield and Diana Dors, etc. 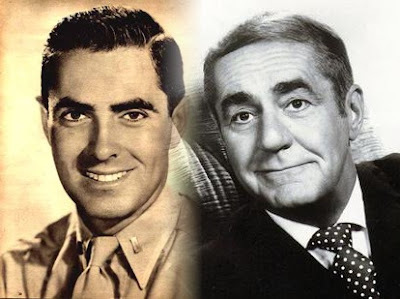 Who do you think looked alike? 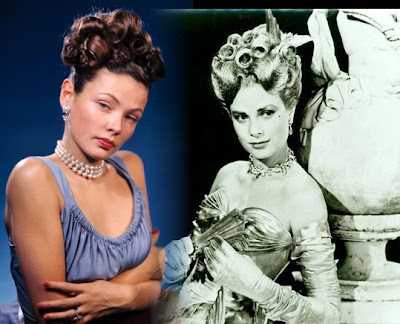 That resemblance between Jean Simmons and Vivien Leigh is especially striking. PS: I think Paulette Goddard and Hedy Lamarr look alike. I don't see a resemblance between Power and Backus, apart from their eyebrows. I think they all look more alike than different; very enlightening post! Jean simmons played vivien leighs tole as opera in hamlet, even leighs husband thought she resembled simmons (if your own husband thinks you look like someone you probably do - although if you are considered to old for a part, and the woman who resembles you is much younger.well, then perhaps it's best not to mention it. 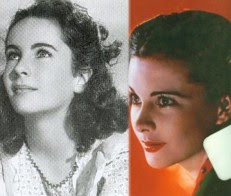 I've always thought Vivien Leigh, Jean Simmions, Elizabeth Taylor and Hedy Lamar could have been related. 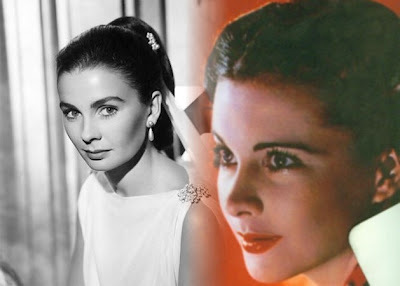 Jean Simmons and Elizabeth Taylor could pass for each other.